A host provides online storage space for the files that make up your website. 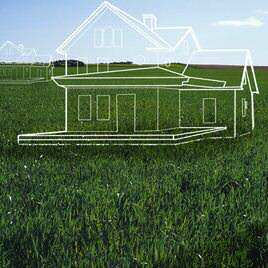 If your site was a house, hosting is the plot of land that it’s built on. Everything online is essentially just a file on a hard drive, but in order to access it from a web browser it needs to be online somewhere. If you’ve ever built a free website on some site-builder platform, that company is hosting it for you. This is often free. The problem with this for a personal or business website is that you have very little control. You might have a lot of options for styling the site, but the data may be inaccessible to you. If that company goes under, you’ve lost your website. If you’re uploading files to a free service, you may be giving away some of your rights to the content. They’ll often have an ad or other link they place on your site. Something like “This site powered by XYZ. Get your FREE site now at XYZ.com” takes away from the professionalism. There’s nothing wrong with getting a free site on someone else’s platform. Better do that than nothing at all… but you get what you pay for. You’re also playing by their rules. There will be a limited number of features… and often a limited number of pages, pictures, and files that you can have. Not to mention design being limited to the templates they may have. Each of these services have their own terms of service. Often, they’ll include something along the lines of “we reserve the right to distribute your content in order to promote your site.” Could be harmless, but you need to watch out for what the service is doing. Also, if you violate their terms of service agreement they may shut down your site without warning. Better safe than sorry! By using your own hosting account, you have 100% control over how your website is built, you own all your content, if one host goes away you can just pick up all your files and move to another one. Your data is backed up, so you can download anything and move it anywhere. There’s room to grow! Do anything, install more features… want a forum? ecommerce site? blog? wiki? You can make it happen. As your business shifts and grows, this flexibility is an incredible asset. A good host has very few limits on the number of sites, space, bandwidth. A cheap account can handle lots until you become the next internet sensation… and then you get to upgrade to a more expensive plan. But by then you’ll be earning tons of money anyway. How Do I Select A Good Host? We recommend you look based on the following criteria: reliability, support, features, and price. You’ll want to look for some sort of uptime guarantee saying that sites are backed up and the data center (where all the files live) is constantly monitored. Seeing that it’s a popular business that hosts tons of other sites usually means they know what they’re doing. Small time hosting companies can be unreliable. If something goes wrong, is there a number you can call? Online chat? Email? Tutorials on how to do/fix things? How much storage space do you get? For a personal site, you don’t need much but it’s nice to have room to grow. Also look at how much bandwidth/transfer you’re limited to. If you want a you@yourdomain.com email address, make sure they support email hosting. Many hosts will allow you host multiple domains. That means you can have more than one website on the same account. So when you set up a site for that side project, you don’t have to buy another hosting package! The most important feature for how we build all websites… WordPress. Going back to the house analogy, if the host is the plot of land to build your house on then WordPress is the plumbing and electricity. Most small business really don’t need to spend more than $10 per month on a plan. There are hosts with premium features, or built for getting tons of visitors. Scale up when you need it. The company we recommend for most sites is A Small Orange. Great set of tools to get you started, free domain included for the first year, easy WordPress installation (a client favorite), and easy support if anything should go wrong. They’re priced quite reasonably as well. Starting at around $3/month and you get what you need if you’re just starting out. If your growing business needs a high-end solution (for sites with 1000s of visitors per day) that is super reliable, makes your site faster, and is optimized for WordPress, we highly recommend WP Engine. What questions do you still have about web hosting? Post in the comments below.